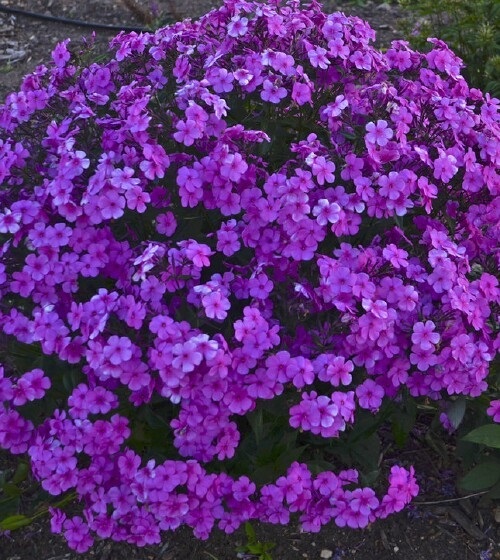 Summer blooming Phlox with a broad, mounding, billowy habit. Lavender purple flowers have bright pink eyes. Its dark green leaves are disease resistant. Grows best in well-drained soil and full sun.